Does Death Stranding make any more sense with the release of Kojima’s latest trailer? Perhaps not, but what can we learn from it? Sony’s 2018 E3 presentation focused a portion of its running time on the latest build of this game….and aside from the usual out-there visuals, we saw a bit of gameplay at last. The game stars Norman Reedus as Sam Bridges, a man who….well, it still isn’t clear what he does. 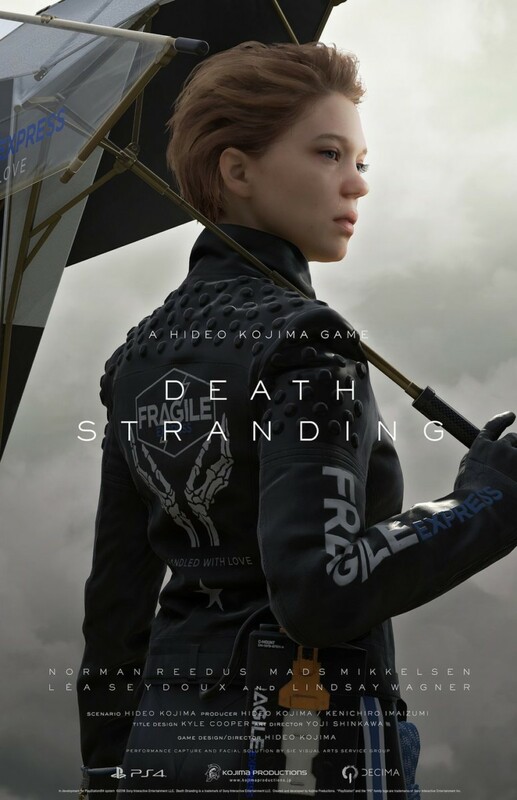 Kojima, can you help us out here? Some might have already picked up on this, but Sam is unlike any other hero you may have seen in games before. A typical hero is usually some sort of elite or someone with a military background. Sam is not. He is a working man of sorts — a hands-on professional. Someone with a skillset akin to a blue-collar worker. This is something you’ll intuitively understand once you play the game and control Sam. Herein lies our challenge, to create both a new form of gameplay and a hero that has never been done before. Thanks, Kojima. So we still don’t know what he does, but we know his character type. Why he’s carrying around a fetus in a glowing jar is less obvious. We did notice in the sandstorm scene that the jar appeared to be attached to some propellers and acting as some kind of device — maybe to help Sam navigate the area, or to keep the floating monsters in the distance away. At the end of the trailer we were introduced to a new character, but all we saw of her is a turnaround and the credits for her voice actress (Lindsay Wagner). What role she plays in the story has yet to be revealed. 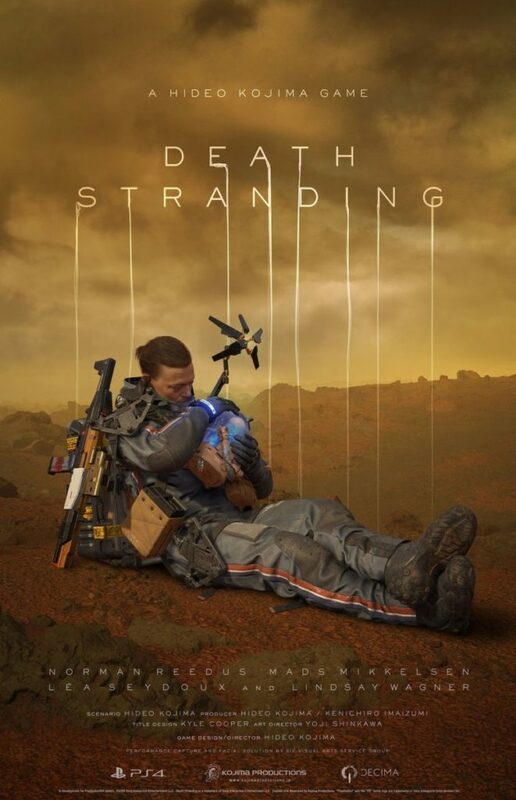 Death Stranding is still under development for Playstation 4, and has no release date. But here are two new character posters just released to the public: one of Sam and the baby, and one of the woman played by Lea Seydoux.